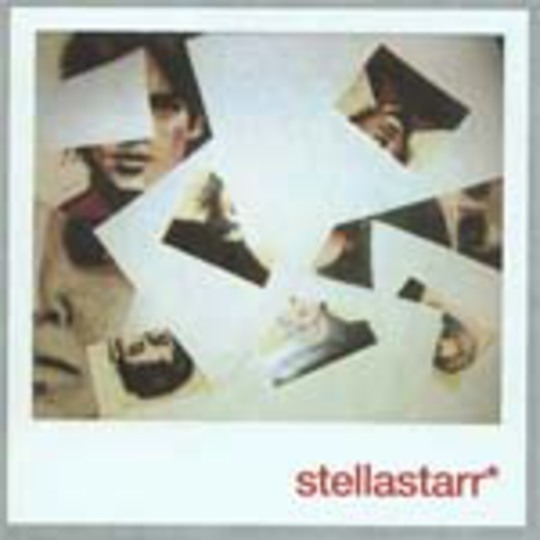 Stellastarr* know a lot about art. Indeed, band leader and singer **Shawn Christensen**, has his very own site dedicated to the medium (www.shawnyboy.com if you care to look). However, probably the greatest feat he has achieved is on this debut album; the art of encompassing your influences and then transcending them. 'Stellastarr*' is a rare beast; one that takes from its peers and gives back something fresh, imaginative and breathlessly great. Stylistically, it's very much in vogue with the current influences of new wave thru 80's Brit indie up to, and very much including, the Pixies. A nice melting pot, then. 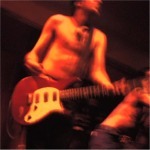 However, unlike those who slavishly flick through the photo archives and album covers of yesteryear, Stellastarr* - sharp suited things from NYC - churn their love of Talking Heads, The Cure and the aforementioned Pixies into a canon of art-pop songs that sounds like the arrival of the best US indie band since, um? well, we'll get to that. Opener 'In The Walls' is a giant slab of bleak-pop mastery, combining thudding drums, dancing guitars with sleek female harmonies and a chorus that is forged in the fires of big overcoat heaven. It's a grand introduction into the world of Stellastarr*. But it's not all grey skies, short days and long nights, there's a sense of playfulness and a light touch running through the album, like in the schlock Frank Black horror of stalker epic and latest single 'Jenny'. As it falls over under the weight of its own histrionic panto horror, it's hard to suppress a grin, or even a sharp inhalation of breath; this is fantastic. The soaring Cure-isms of 'A Million Reasons' is biliously great; all cold guitars and longing looks through kohl-eyed slits. Best of the lot though, is the driving, anthemic 'My Coco'; all razor guitar thrusts and off-kilter yelps that sounds like David Byrne thrashing Bowie at a Strokes Concert. Throw in the pop-gems of debut single 'Somewhere Across Forever' and the blistering 'No Weather', and you've got an all-star amalgamation of a decade's worth of great music, gently teased into a new idiosyncratic package. The only minus points come from the fact that the second half of the album doesn't quite sustain the jaw-dropping start of the record, but then, we'd be looking at something as good as whisper it The Strokes' debut. Which is probably an accurate point to reflect that this is the best new wave / big coat -influenced album to emerge from NYC so far this year, leaving Longwave, Calla et all trailing in the distance. Will it be the best of its kind this year full stop? Well, we'll see? apparently there's another one of those razor sharp pop bands releasing a record soon.